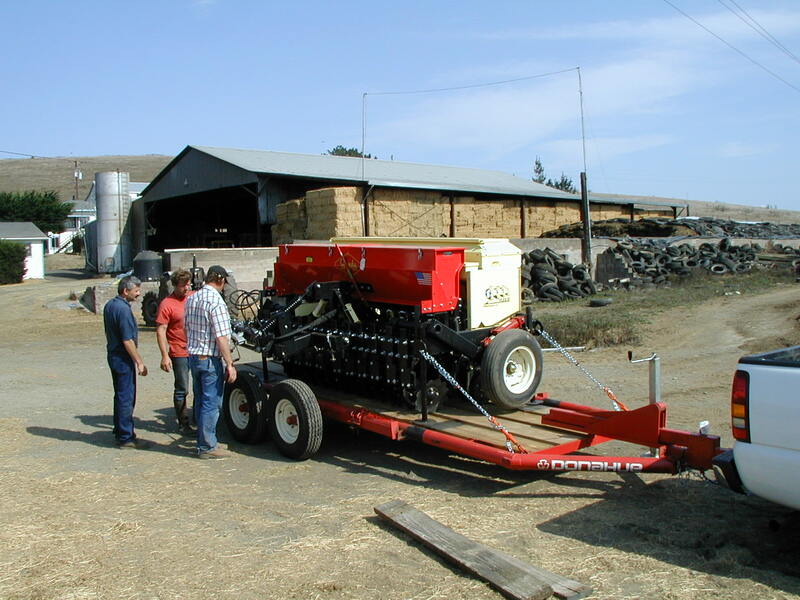 The No-Till Drill has been donated to Tomales High School. The No-Till Drill, a form of conservation tillage, increases forage production and reduces potential water quality liabilities such as erosion and nutrient runoff that occur with conventional tillage operations. The Drill results in improved soil and rangeland conditions by increasing water holding capacity and friability of the soil. This allows perennial grasses to better compete with annual grasses and eases the establishment of perennials on compacted soils. As much as a two-fold increase in forage production has been reported with its use. The Drill can be used to improve sites where seeding with a conventional drill is not feasible due to slope or seasonal access limitations. The No-Till Drill cuts furrows and drops seeds in a way that minimizes soil disturbance, preserving vegetative cover and soil structure. The Drill is 13.5 feet wide and weighs 8,000 pounds.